This polar vortex is too much – it’s freezing. Haven’t heard of the polar vortex? You’re lucky. I didn’t know what a “polar vortex” was until yesterday – basically, it’s a large, continually circulating frigid air mass that gets colder and colder which apparently, happens roughly once every 20 years or so. The short: we’re snapping records all over the place with record low temperatures. It’s my my worst nightmare. Despite being a born-and-raised Canadian, I don’t fair well in the winter. Here’s the thing I’ve learned through my 20 years of winter-survival – there’s nothing that we can do about these temperatures other than bundle up and try to stay indoors. All winter I crave some cozy comfort foods, but today even more so. There’s nothing I want more than a hearty bowl of chili or soup to warm me up. 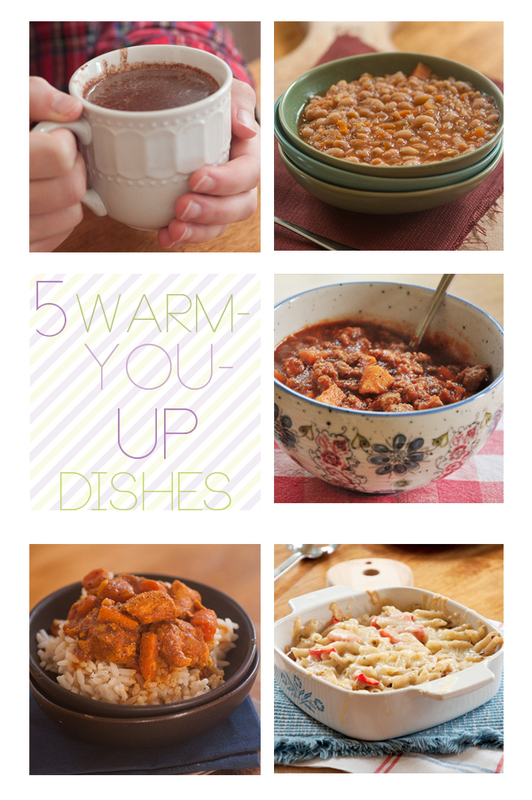 I’ve put together five Warm-You-Up Dishes to make this week, your family will thank you! 1. Snow Day Hot Cocoa – Is there anything better than a warm cup of hot chocolate to warm your bones after being outside? Have a pot ready for when your kids or partner get home after a cold day. 2. Slow Cooker White Bean Soup – Sticking to those healthy resolutions? This simple dump-and-go slow cooker soup will fit the bill – packed with protein and veggies here’s a healthy comfort food the whole family will love. 3. Slow Cooker Chili with Sweet Potatoes – Chili is by far my go-to comfort food and this recipe is a favourite. Packed with familiar flavours and nutrient-dense sweet potatoes, his chili can be made in the slow cooker or right on the stove! 4. Slow Cooker Moroccan Chicken Stew – This recipe is on the top of my list right now – I love how deep the ethnic flavours from Morocco get in this slow cooker stew. A little modern comfort food for you. 5. Baked Pesto Pasta – Everyone loves pasta and this baked pesto pasta (packed with red peppers and chicken) is a balanced comfort food – a little cheese never hurt. So there you go , whether it’s -10°, -20° or -30° where you are, these recipes will keep you going through this deep freeze, polar vortex. How are you handling this polar vortex? Any favourite healthy comfort foods? I’ve never heard of polar vortex before but I imagine it is exactly what you’ve described (hehe, I’m thinking of the cold days in the Doctor Who series). White Bean soups are the best, the white beans thicken the soup pretty well - all you need is onions, sage, and tomatoes. Fortunately it wasn't cold in December and this month in Paris and Oregon, about mid 50s. I've experienced only a few days of snow in Oregon when the temperature was below 10 F, but it wasn't a huge deal. I'd never heard of a polar vortex before either, Rika! I'm so jealous of your travels in Paris and Oregon, send the warm weather my way! Thank you for these warm up recipes. I could use them right now. It's like 20 below in the Chicago area today!! Brrrrrr. I'm SO tired of this winter!! My pleasure, Renee! I can't believe this crazy, freezing cold weather we've been having this winter and I'm SO ready for it to be over. Wow that was odd. I just wrote an verry long comment but fter I clicked submit my comment didn't appear. Grrrr... well I'm not writing all that over again. 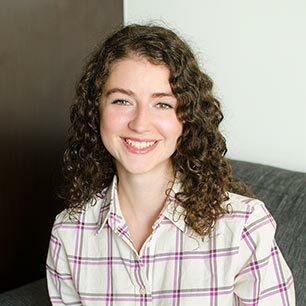 Anyhow, just wanted to say fantastic blog! So frustrating when that happens, thanks Swen!